When OCR was relatively new, we really didn’t seem to know what to do with it. We just slapped together a lot of extreme workouts. We one-upped each other to push the envelope of crazy. Thankfully, the purists and coaches emerged from the chaos, treated the injured, and got most of us into training rather than just working out. Truth be told, I got caught up in all that early hype. Every day was a workout. New obstacles, new trails, new combinations. But very little movement or functional science. At the time, I was just coming off of P90X2. I was bored and wanted a challenge. The timing was perfect for OCR to come along and let me demonstrate my abilities and strengths. Now, the pendulum has swung back and I am in the routine of a training regimen again. Sort of. Barstarzz Beast on the Bars is my thing right now. The goal of this calisthenics training program is primarily to enable you to do a full muscle up from a dead hang in one smooth motion. I’ve wanted to do this for a long time. All the routines I have slapped together have not worked as well as I wanted. I’m doing this program because OCR obstacles have become more technical. 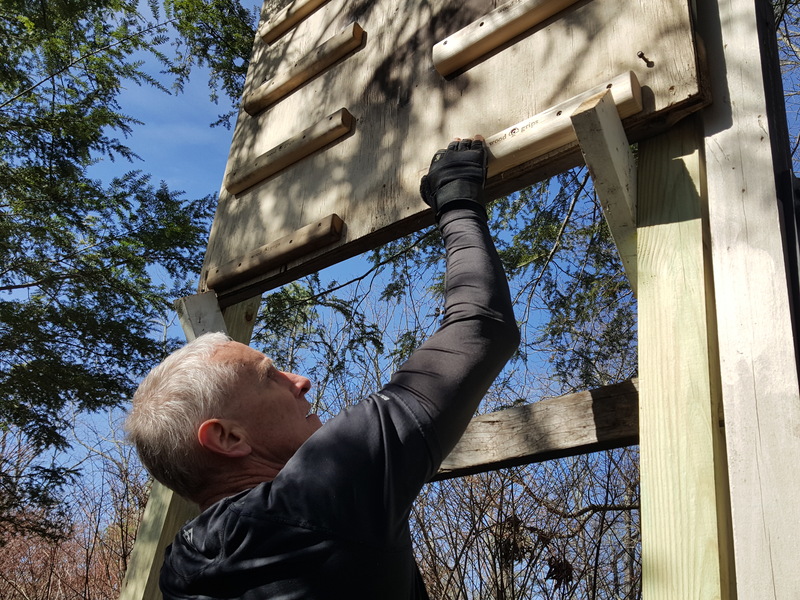 The muscle-up is a logical move that will help me do those obstacles better. Think of the inverted wall. Not technical. But an obstacle that always bangs me and a lot of other people up. I get more bruises and cramps from this obstacle more than any other. There is just a lot of contact going on. But the muscle up can solve all that. In one smooth motion, I can get above that wall, get a toehold on top, and swing over. The only contact will be my hands and feet. No more busted up knees, thighs, and elbows. I’ve seen only a few athletes do this and I tell you it’s pretty. I want it. So I’m halfway through Barstarzz Beast on the Bars. Two months of pushup, pullup, and squat variations that progress me upwards towards the holy grail muscle up. It is working. My only complaint from the last review as I felt that the number of reps was too low. The routines were too easy and too short. It took another quarter of Barstarzz training to whip that OCR mentality out of my brain. Now the program is getting harder. It introduces a lot of negative moves. Negative chin-ups, negative muscle ups, negative bar dips. It’s all those moves in reverse real slow. The muscle mass gain is amazing. The control development is wonderful. The muscle memory integration is working. I’m starting to taste muscle up without jumps, kips, or swings. I added a new rank to the campus board and moved it away from the bar. On Facebook, I love to read the stories and watch the videos of people who finally conquer something new. At the recently reviewed Endurance Factory, I saw one girl climb a rope and ring that bell. Another girl did a 30” box jump. You should have seen her happy dance. These are the reasons why I love this sport. The triumph of the willing is such a big motivator to me. 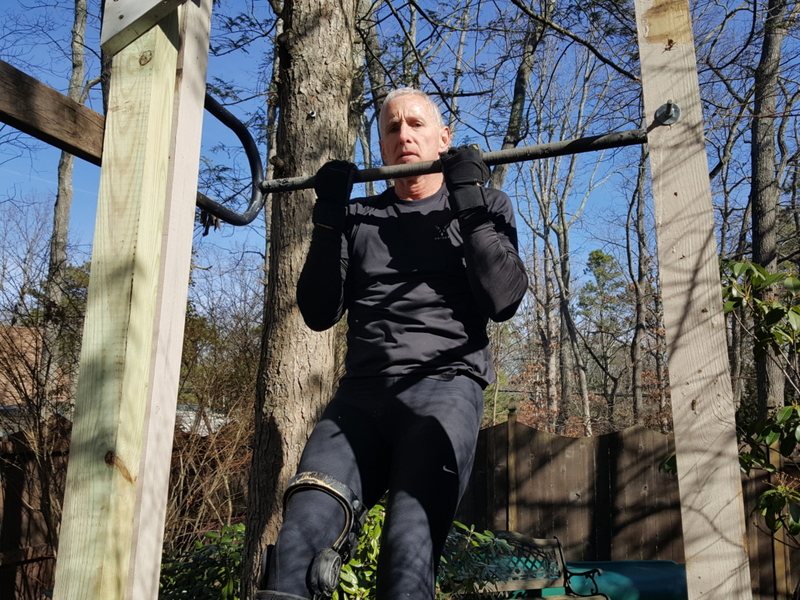 So I promise you, once this 56-year-old guy finally nails his first muscle up, I’ll be doing my own happy dance too. By the program calendar, that’s just two months away. Just in time for the April 21 Citifield Sprint.